Join us for our bi- weekly book reading group at Meanwood Institute, Green Road, Meanwood. We are a friendly group of people who like to take turns to read aloud. 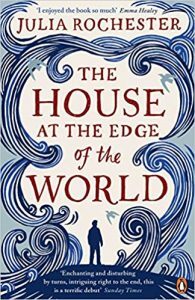 We commence at 3.00 p.m. and have a break for refreshments usually finishing around 5.00 p.m. At the moment we are reading ‘The House at the Edge of the World’ by Julia Rochester, a compellingly told story of how family and home can be both a source of comfort and a wholly destructive force. Cutting to the undignified half-truths every family conceals, it asks the questions we all must confront: who are we responsible for and, ultimately, to whom do we belong?.